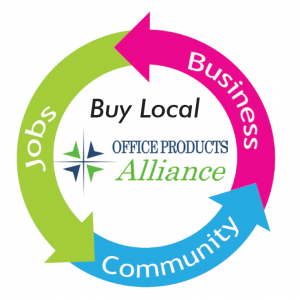 Office Products Alliance believes in buying local and wants everyone in the Kansas City area to buy local whenever you can. Buying local helps money spent in KC, stay in KC as it is spent on other local businesses and local charities, generating a money multiplier for your dollar. Everybody in KC wins when we buy locally, as much as we can. Do you have a buy local story that you want to share with us? We would love to hear about it.